FLAVOR PROFILE: what was once the grandest of Fruits & Flowers – bold chocolate gilded in florid violet, lilac, jasmine & orange blossom, along with red & blackberries – is now highly variable, experiencing the creep of cereal grains, coffee, cotton, & bluestone; spices (especially the ever-more-common cinnamon/ishpingo); pecan / peanut overtones (possibly attributed to Theobroma bicolor, cacáo’s relative, occasionally entering the mix). 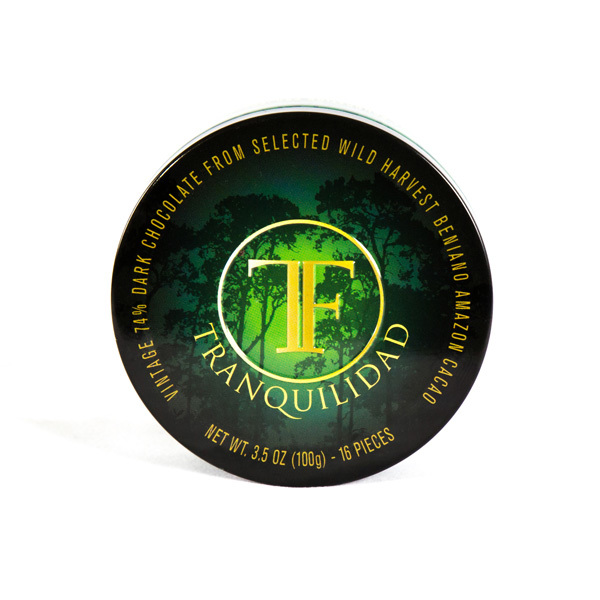 Over a 100,000 orchards producing more than 100,000 tons… home to a special cacáo of exceptional flavor quality. Once known as the classic variety ‘Guayaquil, rechristened ‘El Nacional’. 2) The Interior – to the east belongs to Amazonia running the Rio Napo. Cacáo here shows a continuum of ample diversity & variability from seed size to color that turns from pale, including a type with ‘white’ cotyledons, to increasingly darker purple pigmentation the closer the confluence with the Rio Marañon that eventually joins the Rio Amazon. 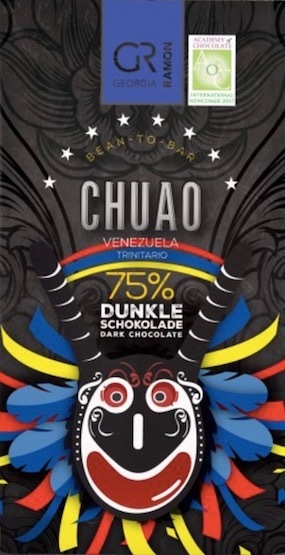 Similar to Venezuela, it’s becoming more commonplace to regionalize Ecuador’s cacáo, as several in-country manufacturers like República, Caoni, & Pacari demonstrate, identifying flavor-variants, each emanating from a region with discernable terra (Los Rios, Manabì, Esmeraldas, Guayas, Bolívar, etc.). Cacáo’s primordial origins are difficult to pinpoint. John B. Allen of the London Cocoa Trade Amazon Project speculates that it all may have originated in the Napo River Valley of eastern Ecuador. 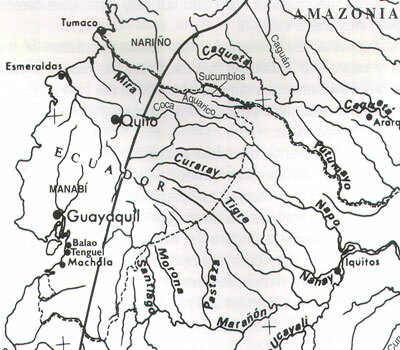 Research also postulates a Criollo connection between Mexico & the southeastern portion of the country (where rivers flow across the Peruvian border to meet the Rio Marañon) at the time of the Spanish conquistador invasions. Of tangential interest, for over 200 years the Kayapó (of The Body Shop™ fame) have planted a renowned cacáo which some consider a Criollo variety from Central America. A common thread weaving all the strands together may be the great jade-sculpting culture of the Valdivia who traveled along the Pacific coast from their Ecuador home to Peru since 2200 BC & to Middle America as far north as southern Mexico since at least 1450 BC, perhaps trading cacao for corn. 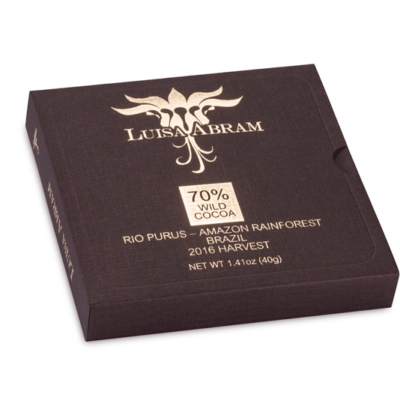 Ecuador is also home to a special genotype of exceptional flavor quality, albeit probably originating in Peru in a case of natural geography trumping national boundaries. Formerly known as the classic variety Guayaquil, it was rechristened Nacional as a means to distinguish it from plants & seeds brought from Venezuela in the 1890s, according to Van Isschot. Soon thereafter Nacional hybridized with Venezuela Criollos, referred to as Venezolano. Preuss in 1901 also sighted “inferior varieties, Carúpano & Trinitario” too. And cacáo from Colombia arrived as well. Partly on the strength of its Nacional brand, the country became the world’s leading producer until early 20th century when production declined starting in 1918 at the hands of Crinipellis perniciosa (Witches Broom) & Moniliasis. Their rapid spread resulted in an introgression of uncontrolled cacáo hybrids brought in by the thousands from places like Trinidad to revive the industry but at the expense of diluting the native Nacional cacáo, only a fraction of which remains intact (& none definitively homogenous or pure), concentrated mostly in the Pacific Littoral around Manabì & farther south in Balao (which later saw an introduction of Esmeraldas Criollo & ICS 95) – well outside the so-called Arriba zone. Sadly, most of these ‘resistant hybrids’ were failures, causing farmers to either switch to cash crops like bananas or abandon their plantations altogether. Recently engineered clones, especially the ever-ubiquitous CCN-51, have to large extent supplanted Nacional, along with its renown & quality. La Florida – well south of Guayaquil & closer to Machala. In most samples, cacáo from here borders OK-to-nothing out of this world. Once again the reason may be the CCN-51 found scattered here & there amongst trees mostly of the Nacional x Venezolano complex (~40 years old average). La Florida has the infrastructure to process high quality beans at their Centro de Acopio but sometimes the facility appears unused. Further south still, Luz y Guia is a socially complicated place. Producing 7,000 lbs /week, it also possesses the infrastructure for high quality cacáo at Camacho — less than 5 km away, & more recently at its own Centro de Acopio at Luz y Guia Campesina proper. Camacho itself is well known for their small but spectacular aroma beans; almost no CCN-51 because it the climate here proves too humid for it. In its ranks count several old-school veterans from cacáo’s better days that really know how to achieve the best outcomes with cacáo from Luz y Guia & surrounding areas. Hiring these pros virtually guarantees results. Back in the day, Vintage Plantations’ good stuff came from here. 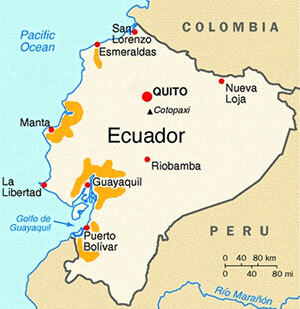 Two properties, Las Brisas & La Gloria contain true Nacional trees in contested territory between Ecuador & Peru, part of the long-running dispute called the Cenepa River War — only resolved in 1998. Much of this patchwork jumble has been gathered into a repository at La Buseta based on the collection of the United Fruit Company’s grove at Tenguel (CCAT – Centro de Cacao de Aroma), just south of Balao, that supplied the company’s other cacáo enterprises up in Panama & Costa Rica. Further undermining the situation is the country’s reputation, earned during the last hundred years, for shoddy post-harvest production, a tradition that continues to this day. By banking off Nacional’s faded glory, Ecuadorian farmers can still command good prices despite under-fermented & insufficiently dried beans, so they’ve little incentive to improve techniques. Add to all this, the degraded environment at the hands of oil exploitation, in a land that was Darwin’s playground. Large tracts of once-pristine Amazon jungle in the country’s northeast were spoiled by Texaco/Chevron drilling during the 1970s; leaching pollutants into the soil, groundwater, & streams before protections & safeguards were a requirement. Nonetheless, industry groups continue to believe that Ecuador harvests about a third of the world’s fine-flavor cacáo – a metric of just how the industrial giants lag behind the curve. These dirty little secrets, which until recently Ecuador didn’t know it wasn’t keeping, have forced many to come to terms with the ‘Nacional Brand’, lest they saw off the very branch on which they sit. They’re starting to acknowledge the limits & downside, for instance, of CCN-51, designed primarily for disease-resistance & high-yield (up to 4 times greater than the ancient varieties) rather than flavor, & whose ubiquitous intermixing & supplanting of native stocks causes genetic erosion – a hazard from a conservation viewpoint in one of the critical centers of origin for the entire Theobroma cacao species. The central government now recognizes the national importance of this matter. Thru its arm INIAP (Institute Nacional Autónomo de Investigaciones Agropecuarias), it now prohibits, at least officially, blending CCN-51 with the indigenous cacáo. It’ll take years before the measure becomes effective enough to notice improvement. Trends favoring select EET – an extensive clonal series numbering in the hundreds, some of stronger Nacional germplasm & better characteristics, such as EET-454 crossbred with SCA-6 for its disease-resistance & high yield – represent a beginning towards improved cacáo deployment for quality & purity. As do farm cooperatives such as Concacao whose members understand the economics of the issue & have banded together to share in the financial rewards & technical assistance coming from clonal nurseries working to preserve their heritage. Ecuador’s legacy as the melting pot for several of cacáo’s principle sources of germplasm remains secure. Its future as a great producer may depend on tapping back into it… ripe conditions permitting. For the 1960s/70s saw socio-political changes & land reform to complicate cacáo’s fortunes here. During that period, opportunity costs favored banana trees over cacáo trees. Large landholders, or haciendas, ‘officially’ were broken up. Some central haciendas however remain intact – thanks to power & money – growing bananas-for-export at the center of a community with a periphery of small farmers tending to cacáo. While the small farmers’ main income derives from picking bananas for someone else on some else’s hacienda, their social pride stands firmly rooted as cacáoteros – owners of the land on which they can grow cacáo. It generates supplemental income that can make the difference to sending their children to school & onto to professional careers elsewhere, but nowhere near enough to encourage them to return home with those higher education degrees & help put all the knowledge & expertise to work in expanding the family business because cacáo at its current market rate & social status just isn’t worth it. Unless, the consuming world responds with an action-plan beyond cheap fodder for the commodity markets to bake up “grandma’s homemade” chocolate-chip cookies & cupcakes for posh cafés around Paris, London, NY & LA.